Joint Russian-European mission to sniff for methane gas. A joint mission between the Russian and European space agencies designed to probe the atmosphere of Mars for tell-tale evidence of life at some point on the Red Planet is set to launch, according to phys.org. The ExoMars 2016 mission, the first of a planned two-phase expedition to Mars, is set to launch from Kazakhstan on Monday morning with a Mars orbiter atop a Russian Proton rocket, and should enter orbit around Mars around October 19, after completing a journey of over 308 million miles. The goal of the first phase is to have a Trace Gas Orbiter (TGO) sniff for methane gas around the planet, which would be an indicator the planet once had some form of life. Methane is either generated by a biological process or a geological process involving chemical reactions below the surface triggered by hot liquid water. Methane is normally destroyed by ultraviolet radiation over a period of a few hundred years, so the finding of the gas still present, could mean it is still being produced, but that would lead to the question, produced by what process? The TGO’s mission is planned to last until December of 2017, but it has enough fuel to continue to operate for quite a while longer, if there are no problems or issues with the spacecraft. The mission also includes a Mars lander, named Schiaparelli, after the 19th century astronomer that discovered the “canals” on Mars, which lead people to believe the planet also had intelligent life. The lander will evaluate heat shields and parachutes in preparation for an rover landing in Mars, to be scheduled at a later date. While there, the lander will also analyze temperatures, wind speeds and atmospheric particles at the surface. The second phase of the mission is facing some issues as funding problems may cause delays in the implementation of the expedition. Cost increases have European Space Agency (ESA) director general Jan Woerner talking about a possible two-year delay. 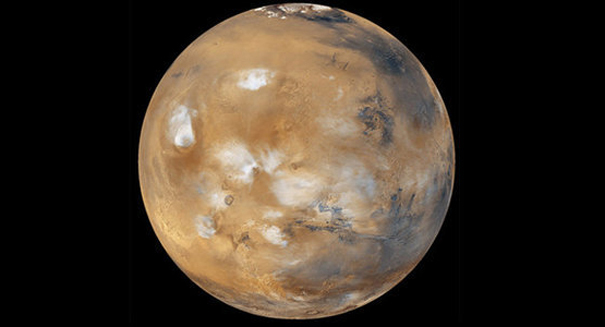 Recent research has presented strong evidence that Mars may still have water, and it is widely accepted that the planet once had flowing water, but the conditions today are considered too dry and contain too much radiation for organisms to still be alive.